Our scheduled Active School Event took place on Tuesday 7 and Thursday 9 April. It was once again a very successful event with quite a few youngsters taking part on the day. 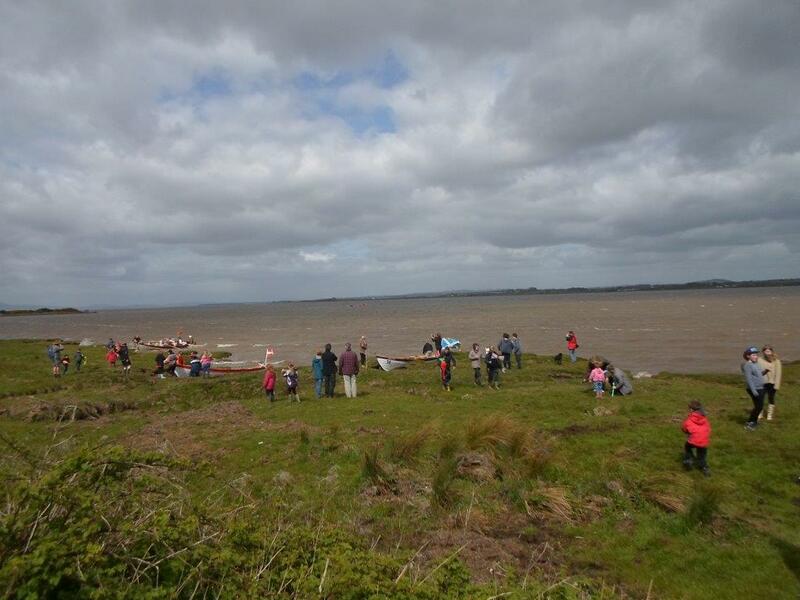 Many thanks to all members who attended on the day to give the young people from the various schools an entertaining and exciting day’s coastal rowing. The same exercise was also carried out at Prestwick Sailing Club on Thursday 16 April and again many thanks to all who took part. The launch of the second Firth of Clyde Skiff, named Thistle, took place on Sunday 26 April. Troon Coastal Rowing’s Skiff, Ailsa Lass, was transported to Largs for the launching ceremony with a full crew of our members and various supporters to welcome this new Skiff to the Firth of Clyde Sailing Club. 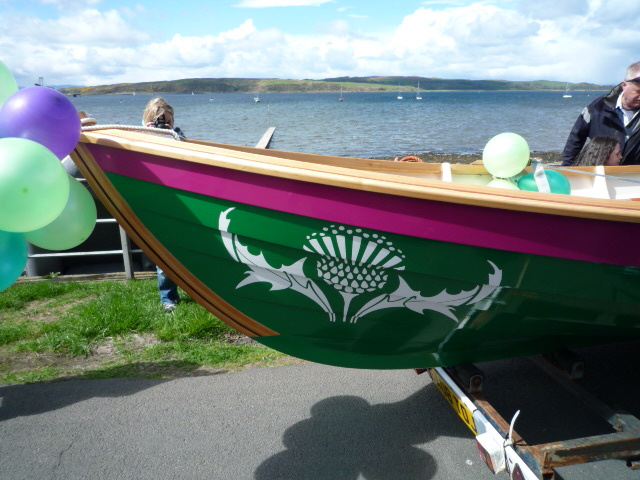 This new Skiff was paraded through the town of Largs, led by a piper, for the launching ceremony at Fairlie Beach. Prestwick Sailing Club held at Open Day on Saturday 2 May when their new Skiff called “The Pride of Prestwick” was on display. Once again Troon Coastal Rowing’s Skiff was transported to Prestwick where we offered to run one of our “give it a go” sessions. This was to encourage as many new rowers from Prestwick to take part in coastal rowing. The official launch of their new Skiff will take place on 9 May and supporters from Troon Coastal Rowing will be present. Troon Coastal Rowing are competing and participating in the Aviva Community Awards Scheme. This Scheme is for projects within our local area and depends on online voting. We would encourage supporters of TCRC to vote and everyone who visits the website and registers with Aviva (a requirement to be in the competition) has 10 votes. SOLWAY BELL RINGERS’ RAID took place on Saturday 16 May 2015. A great fun event in challenging conditions, with Troon putting in a respectable performance. It is called the Bell Ringers’ raid as it involves rowing across the Solway into England and capturing the Bell and returning it to Scotland. One of Troon’s young rowers played the bagpipes at the start in Annan Harbour, to provide a bit of encouragement. It must have worked because Troon gained a highly prized third place and we had the honour of bringing back the bell stand.